When winter arrives, most of us have a tendency to cocoon, as we attach too much weight to its negative aspects. However, we feel that embracing the season is a better idea, as not only will this make it easier to cope with the cold and darkness, but it will give you a reason to appreciate this season’s positive points. Below, we’ll share several destinations that will put you in touch with the best that winter has to offer. 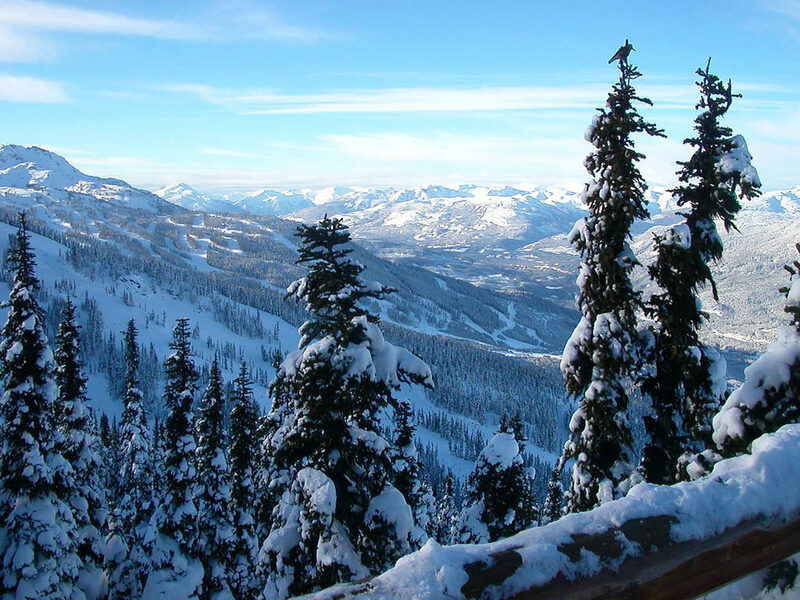 Avid skiers and snowboarders will find no better place in North America to shred up the slopes this winter than in Whistler, British Columbia, Canada. The recipient of an almost never ending flow of Pacific moisture, there is plenty of powder to go around for everybody, and with two mountains, over 200 runs, and 5,000 feet of vertical drop at your disposal, Whistler Blackcomb will give you plenty to do on each day of your snow vacation. After the day’s riding has concluded, there are multiple villages filled with restaurants, bars, and other services that will make your apres ski/board time varied and exciting as well. Europe is another great place to travel in winter if you are a fan of snowsports, as the Alps offers many lines for boarders and skiers to cruise down. However, if you are a fan of more leisurely pursuits, Budapest is a wonderful city to visit during this time. The holiday season offers plenty of amazing Christmas markets, complete with mulled wine, crafts, and carols, and there is a heightened chance of snow here compared with milder destinations further to the south and west. The rest of the winter offers you the opportunity to explore one of Central Europe’s greatest treasures without having to deal with the raging hordes of tourists that plague the city in the summer. When you have finished exploring Buda Castle, the Parliament Buildings, and have taken sunset photos from the Fisherman’s Bastion, join the locals for a few laps around Budapest’s best-loved public skating rink in Városligeti Műjégpálya Park. Once you have had enough of the cold, warm up in one of Budapest’s famous toasty bathhouses. Complete with geothermically warmed water and ornate architecture, it will be an experience you won’t soon forget. Want to get a unique taste of winter in Asia this year? Book a holiday in the Japanese ski resort of Niseko. Situated in a snowbelt that constantly delivers heavy amounts of the white stuff through the cold months of the year, Niseko is virtually guaranteed to deliver powder-filled lines to you at some point during your stay. When you have finished your day on the slopes, Niseko has a well-developed network of nightclubs where you can rock the evening away if you so choose, but if you are looking for something more chill, there are plenty of onsens where you can soothe your tired muscles as well. Hate winter and everything it represents? Give the Corn Islands a try this year. Reachable via a plane connection in the Nicaraguan capital of Managua, these isles represent how the Caribbean used to be before mass tourism took over most of the other islands in the region. With friendly people, quiet beaches, and unmolested coral reefs, you’ll be back here before you know it.